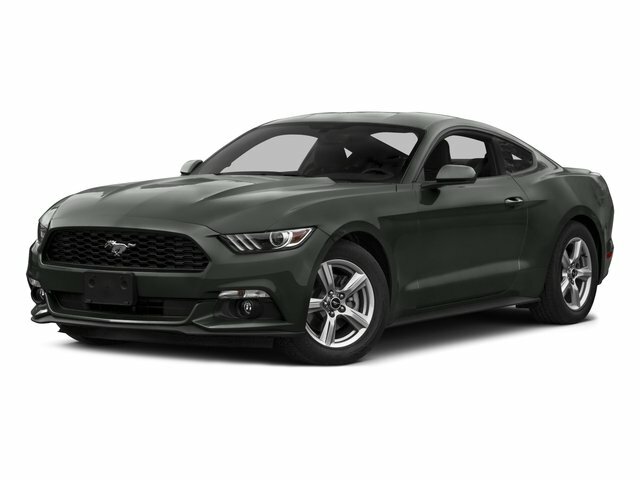 **AUTOMATIC**, **CLOTH**, **051A**.Reviews:* What do a Mustang coupe and an F-150 truck have in common? They're reinvented for 2015, and they each have their loyalists. Ford allegiances aside, the Mustang attracts with its newly refined ride and amenities, retro-modern looks and the sheer appeal of owning a performance-car icon with a sub-$25,000 starting price. Source: KBB.com* Wide range of engine options; new rear suspension provides better handling and ride dynamics; more refined interior. Source: Edmunds* Redesigned for 2015 is American classic, introducing the 2015 Ford Mustang. The body has be designed to deliver a new driving experience including a new fully independent rear suspension, improved pitch control during hard acceleration and hard braking, and less body roll to improve the overall feel and ride. 3 engine are available to choose from including a 3.7L V6 delivering 300hp and 280 lb-ft. of torque, a 2.3L EcoBoost engine delivering with 310hp and 320 lb-ft. of torque, and the powerful 5.0L V8 with 435hp and 400 lb-ft. of torque. All engines come with either a 6-speed manual transmission or 6-speed SelectShift Automatic with Paddle Shifters. Available selectable driving modes further enhance the performance with 4 different options including normal, snow/wet, sport, and track. Inside, the front seats now feature memory recline capability with available heated and cooled six-way power. The advanced and standard selectable effort electric power-assisted steering system allows you to choose 3 modes of feedback. SYNC with MyFord Touch allows for hands free operation of the infotainment system and allows you to make calls and control audio functions. The available 390-watt Shaker Pro Audio System with HD Radio Technology includes an AM/FM stereo, single-CD/MP3 player and 12 speakers including an eight-inch subwoofer which has been smartly-mounted in the trunk. The available voice-activated Navigation System powered by SiriusXM Traffic and Travel Link combines GPS technology with 3-D mapping and provides voice-guided turn-by-turn directions. Track Apps features Electronic Line-Lock and launch control, and provides performance metrics instantly on the 4.2-inch message center screen in the instrument cluster. Source: The Manufacturer SummaryAwards:* 2015 KBB.com 10 Coolest Cars Under $25,000 * 2015 KBB.com Our 10 Favorite New-for-2015 Cars * 2015 KBB.com Brand Image AwardsWhether you are in the market to purchase a new or pre-owned vehicle, if you need financing options, we'll help you find a car loan that works for you! Even if you have bad credit, or are a first time car buyer, you can trust that Covert Ford Chevrolet Hutto will professionally fit you into the automobile of your choice. Please call Dan Covert or text at (512)993-7628 for personal assistance or come out and see us. You can also call the main number (877)918-0151 for assistance. We are just a short drive from these areas Austin, Round Rock, Georgetown, Leander, Pflugerville, Killeen, Temple and other local cities. Please come out and be apart of the Covert family.